Web Conferences or Webinars are a very effective method for gaining greater insight from your industry, getting more meaningful feedback from clients and prospects and growing your business beyond the limitations of geography. It allows you to deliver content to anyone, anywhere, in a personalized and highly interactive environment via screen sharing, audio-video calls, questions and answers sessions and even language translation. The typical webinar attendee conversion rate in the online marketing industry is approximately 42% which is significantly higher than the average sales or support medium in use online today. There’s great potential for what webinars can bring for your business regardless of the industry you’re in. Customers and the community in general, love opportunities to interact and get more value on whatever their interests might be; so give them what they want. We once covered 10 great Webinar services so here’s 10 ways webinars can benefit and improve your business. There’s no limitation on whom you can reach and where they’re situated. A company in Brazil could easily cater to an audience in Japan to close deals and provide support. It’s a powerful way to cement existing relationships with clients and partners as the medium presents many tools to deliver value, especially through a premium provider such as ClickWebinar. A premium provider allows businesses to leverage their platform to deliver high quality content without the need to manage the complicated technicalities of live streaming. It’s an easy and low cost way to add value and build relationships. A webinar can be up and running in a couple of weeks as you prepare your content and bring your team and other assets together to deliver quality content. The logistics of the event are not as sophisticated as planning a conference at a physical location which demands proper parking, airfare and accommodation for speakers, catering, venue preparation, etc. Depending on how much content and value you have to offer, you could even run a webinar every month – something that would not be possible for a physical event. Use the webinar as an opportunity to gain insight, concerns and challenges from participants about your subject. Because the webinar is in real-time, with the benefit of audio, you’ll hear the customers’ unadulterated opinions which are invaluable for helping you build better products and services and grow a more relevant business. Many Webinar service providers have webinar recording features built in which allow you to capture all the spontaneous value of the event and later present the content in podcasts and even video. This content can be used to further market your business or sold. It’s a low-cost way to give potential customers a “try before you buy” experience which will help you close more sales faster. 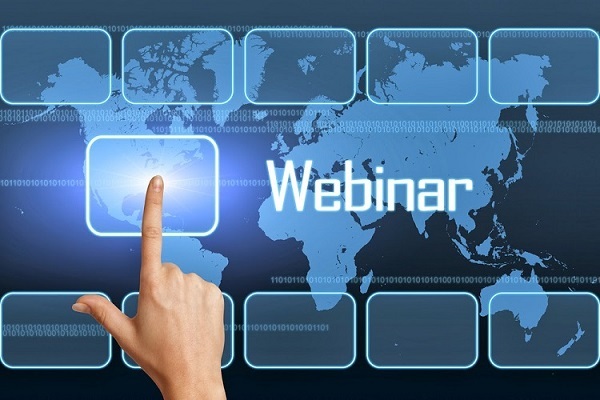 Webinars typically offer high conversion rates since your participants are usually in buying mode, are qualified and have already shown some interested in you and what you have to offer. Because of this targeted approach, marketing via this medium provides much greater success than advertising via traditional mediums and even social media; resulting in a higher ROI on your budget. Use webinars to answer customer questions, explain how they can use the product more effectively, and get feedback for future enhancements. By including existing customers in occasional webinar events it creates a sense of belonging and the idea that you genuinely care about their experiences even after the sale. It’s a powerful way to ensure client issues and ideas are addressed and lowers product churn rate. You do not need to be the speaker of all your webinars. Invite a guest presenter to share the stage and deliver a unique spin on what your audience may be accustomed to. By getting well-known, respected and established guest speakers you will help to validate your brand as you seek to gain a stronger foothold in your niche. Customers want access and they enjoy the prestige of knowing that they’re treated specially. Use webinars to give greater access to you, your insight and resources rather than being an obscure CEO in the background, for instance. This builds valuable trust which will help propel your business further. The quantity of details that could be received by 1 man within a life-time was severely limited by their access to produced materials along with money. Virtually all mastering was received via statement along with counterfeit. You can telephone this kind of Education..